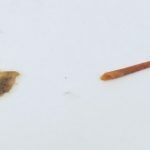 Skin Worms are not actual worms on the skin, although the skin plays a major role in these conditions or “parasites.” There are several conditions that are commonly called “skin worms.” These include ring worm and Morgellons disease. Ring worm, also spelled “ringworm,” is a fungal infection that can be found on the surface of the skin. The infection earned the name ring worm because it was earlier thought that the infection was caused by an actual worm. This is not the case. Ring worm or “tinea” (which means “growing worm” in Latin), is caused by a fungus that creates a ring on the skin. The ring happens to look like a worm. 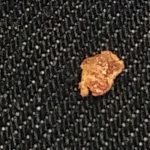 Ring worm remains on the surface of the skin, hair or nails until treated and it does not invade other parts of the body, such as the insides or mucus membranes. Ring worm does, however, thrive in moist, warm conditions on the skin, such as the areas around the groin and between the toes. 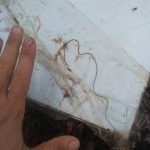 It is very easy to catch ring worm in places such as locker rooms, showers, and swimming pools. Tinea barbae affects the beard and the face; Tinea capitis affects the scalp and it is more common in children; Tinea corporis affects the skin of the body; Tinea cruris (or jock itch) affects the folds of the groin down to the thighs; Tinea faciei affects the face (not the beard); Tinea manus affects the hands and Tinea unquium affects the toenails and the fingernails by turning them thick, yellow, and crumbly. Tinea pedis (athlete’s foot) affects the feet, especially between the toes. Tinea pedis is the most persistent type of ring worm of them all. 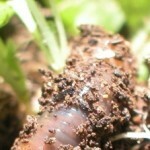 Fortunately, even the most persistent types of ring worm are treatable. If you notice rashes, rings on the skin or scaly patches on the skin, you might have ring worm. A doctor will diagnose the condition through one or more methods. The condition may be diagnosed by sight or the doctor might collect skin scrapings to view under a microscope. In addition, doctors might use a method that involves collecting a culture of the affected skin. Depending on the type of ring worm, your doctor may prescribe oral medication, topical medication or both. The most effective topical anti-fungal treatments are creams that include clotrimazole, ketoconazole, miconazole or terbinafine. Cruex cream, Desenex cream, Lotrimin cream, lotion, and solution contain clotrimazole; Nizoral cream contains ketoconazole; Monistat-Derm cream contains miconazole; and Lamisil cream and solution contains terbinafine. For severe cases of ring worm, oral medications may be necessary. Some of the most common antifungal tablets include: griseofulvin (Fulvicin, Grifulvin, and Gris-PEG), fluconazole (Diflucan), itraconazole (Sporanox), and terbinafine (Lamisil). Griseofulvin is one of the oldest antifungal medications available. Some feel that is unsafe (taxing on the liver) and not as effective as the newer medications. When used as prescribed, however, physicians consider older and newer oral medications safe. According to MRF, more significant than skin symptoms, in terms of the diminished quality of life of the individual with this illness, are symptoms unrelated to skin, to include Chronic Fatigue Syndrome (CFS), Fibromyalgia (ME), joint pain, and significant problems with concentration and memory. 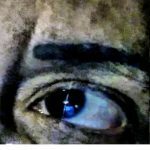 Remarkably, not all people with Morgellons Disease have overt skin lesions, as some individuals report intact skin. The troubling sensations and accompanying physical structures, are the consistent clues to this infectious process. 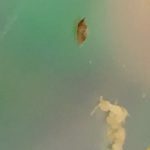 Morgellons cases can be found across the U.S., but 24% of all families registered with the Morgellons Research Foudnation reside in the state of California. 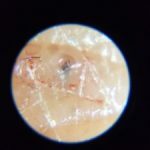 The Morgellons Research Foundation (MRF) has received registrations from people reporting this condition from all fifty U.S. states and 45 other countries. MRF has received the most registrations from other countries such as Canada, Australia, England, South Africa, and the Netherlands. To date, more than 13,000 families have reported that they suffer from this disease. Ginger Savely, a nurse practitioner in Austin, Texas, says she has treated 35 patients with symptoms. “Everyone tells the exact same story,” she says. “It’s just so consistent.” Savely prescribes her patients a course of broad-spectrum antibiotics. “If I knew what I was dealing with,” she says, “it would be easier to treat.” Yet, she says, her patients improve within weeks. 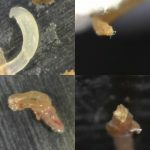 Are Worms Found In Shower Tapeworms, Flea Larvae, or Something Else?